Agios Gordis is one of the most famous beaches of western Corfu. The crystal clear waters, golden sands, the green hills and the characteristic gray rock in the water make up the uniqueness of the landscape, making the sunset just magical. Because of its amphitheatric placement and the architecture of Pelagos Apartments, the visitor can enjoy the peace and tranquility of the surrounding, with the wave of the sea to be the only sound to be heard. In the village of Agios Gordios you can find supermarkets, taverns, restaurants, souvenir shops, bars, beach bars and a pharmacies. The beach is fully equipped, has clean water and you can enjoy water sports. The lovers of paragliding, climb the mountain and from height of 370 meters enjoyed a brief but enjoyable flight. 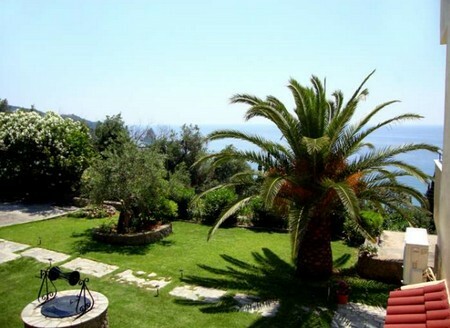 Finally, you can wander in the green olive and cypress mountain and get closer to nature of Corfu. 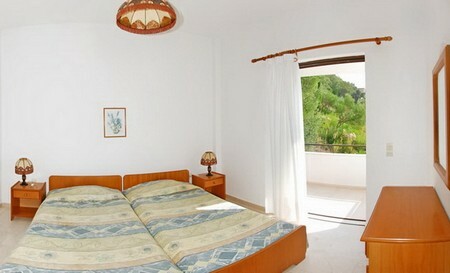 Pelagos apartments complex, has five apartments and two studios and offers top quality accommodation. 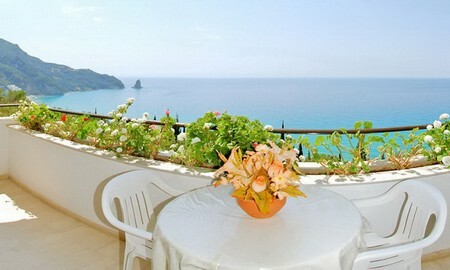 Both sea view apartments and studios have balconies with panoramic views over the beautiful Adriatic Sea and the lush private gardens. All rooms have fully equipped kitchen, fridge, oven and two electric hobs, coffee machine, kettle, air conditioning, bathroom with bath or shower, safe. In the same area you can use private parking. 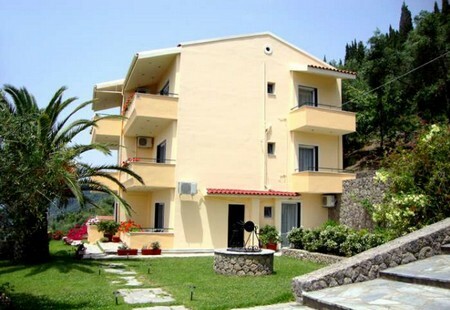 We also run a car rental company, at a special price for Pelagos guests. The studios have one space of 25 square meters, with two single beds and the ability of setting baby cot, fully equipped kitchen, table and chairs, bathroom with shower. 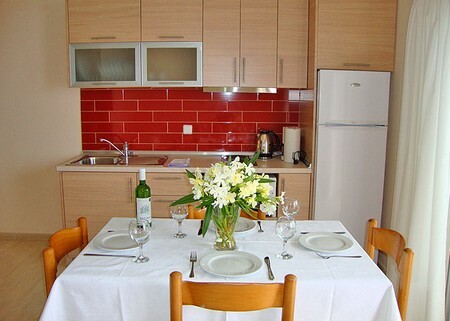 The apartments have total 40 square meters space, one bedroom with two single beds, separated from the rest of the apartment with door, and a kitchen –sitting area with two or three sofa beds, fully equipped kitchen, two balconies, bathroom with tub. Bed for children up to 12 or a baby cot (for free).